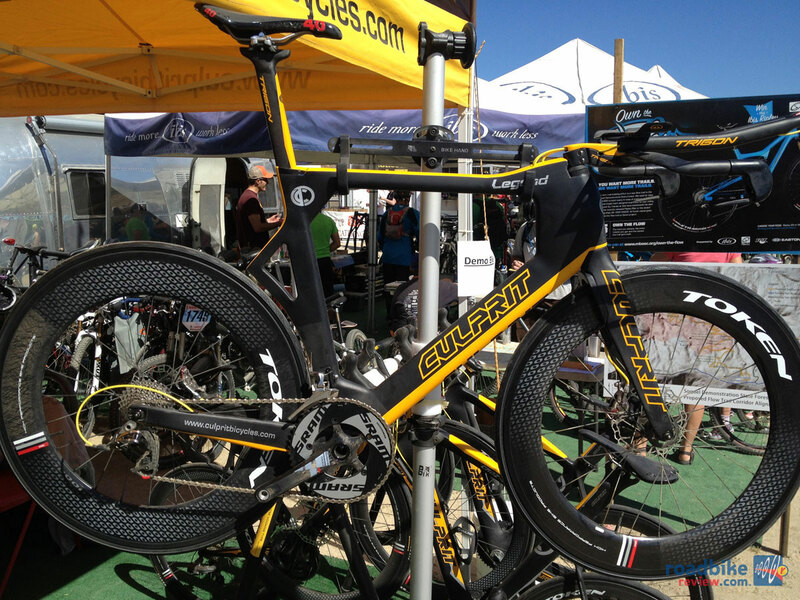 Whether the Culprit Legend time trial bike is a gimmick or destined for greatness remains to be seen. But the unique design and disc-brake spec is certainly a head turner. 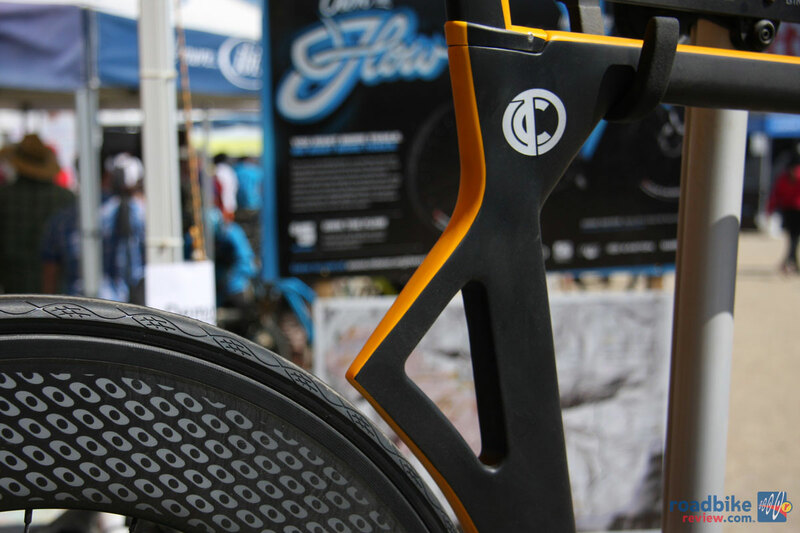 In fact, Culprit general manager Joshua Colp claims it’s a first-of-its-kind design and spec combination that together provide increased rider comfort, vibration dampening, and a safe braking alternative even if you’re running carbon wheels in a thunderstorm while going downhill fast. 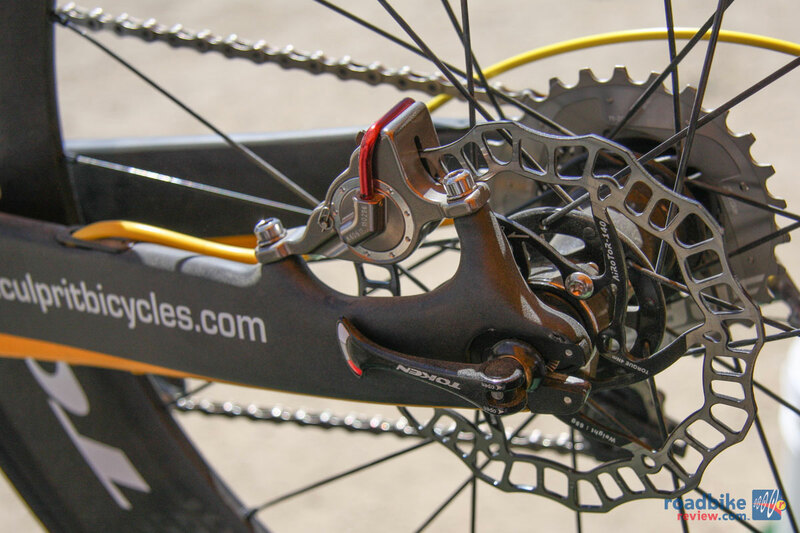 The bike is also equipped with a patented fork design that allows riders to run a disc, direct-pull TRP TTV brakes, or Shimano direct mount. But it’s the complete lack of seatstays that really jump out. 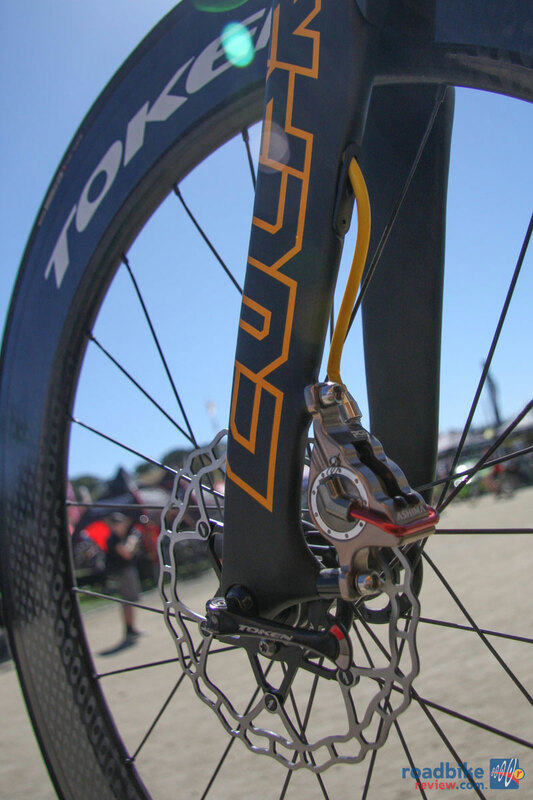 Colp says his frame is able to maintain stiffness and power transfer via its oversized chainstays, but by eliminating the vibrations sent through the seatstays, the bike is comfortable, compliant, and dampened. There is also a triangular cut-out in the seat tube, which Colp says may stay or go depending on results from an upcoming round of wind tunnel tests. The full-carbon monocoque frame also has complete internal cable routing, a multiple position and angle seatpost, 135mm rear spacing with alloy adaptors to 130mm spacing, two offset positions for horizontal drop-outs, and it’s compatible with multiple stems. Will the sum of this equation equal a legendary bike? We’ll see.